Neeraj Mehta has spent the past two decades working to advance racial, social, and economic justice in neighborhoods and communities across the Minneapolis-St.Paul area. Trained as a civil engineer, he quickly pivoted to the field of community building and development after confronting the realities of racial and economic inequality in our region. 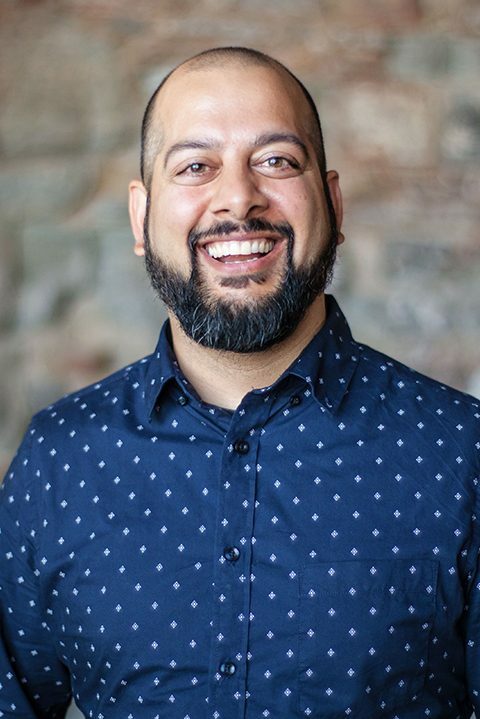 Since 2012, Mehta has served as the director of community programs at the Center for Urban and Regional Affairs (CURA) at the University of Minnesota, where he uses research to help organizations develop intentional learning agendas and adapt their work based on what they learn. He also serves as an adjunct faculty at the Humphrey School, where he teaches courses focused on equitable neighborhood revitalization. Prior to his role at CURA, Mehta worked at Nexus Community Partners, where he helped lead the expansion of their work in north Minneapolis. Mehta has a bachelor’s degree in civil engineering from the University of Minnesota and a master’s degree in public policy from the University of Minnesota’s Hubert H. Humphrey School of Public Affairs. He was awarded the Bush Foundation Leadership Fellowship in 2011. Mehta is passionate about building stronger, healthier, and more equitable communities everywhere, especially in north Minneapolis, where he lives with his wife and two sons. He is on the board of Juxtaposition Arts and the newly formed Center for Economic Inclusion.